Who pays for a wedding and how can you cut the bill? The average price for a wedding in the UK is £22,000. It’s hard to believe that anyone would pay such a price after having recently come out of a recession, but they do. And because so many are forking out this much cash, it adds pressure onto others to do the same. Traditionally, the cost of the wedding was shouldered by the bride's father. This is deeply rooted in dowry tradition and was intended to compensate the groom's family for taking on the added financial burden of the new bride. Of course, things have now changed quite a bit, and even though the old rituals have not totally flown out of the window, they’re definitely fading into the sunset. 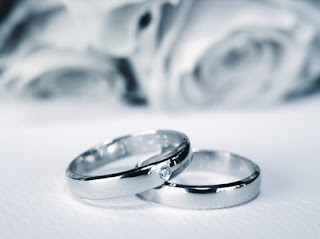 For example, a study held in 2012 by John Lewis Insurance revealed that 52% of Brits expected to pay for their wedding themselves, while 37% would like to see parents on both sides contribute. A mere 9% were expecting to follow tradition with the bride's father footing the bill. One of the reasons for this is because of the rise in the age of marrying couples. The average age of brides, at the last count, was 30 years old. This means that most couples are old enough to be able to pay for their own wedding. If you’re not independently wealthy yourself, how are you going to come up with your share of the money? Even a small part of the bill can add up to thousands of pounds. Many couples turn to loans. Forty-one per cent of 25 to 34-year-olds use credit to pay for their big day. Of those, 69% borrow less than £5,000, but 10% borrow over £10,000. However, it’s never a good idea to get into debt and 28% say they wish they had borrowed less, while another 18% regret borrowing any money at all. Using savings is a much better option, which leads us to the question: what is the best way to save for a wedding? The first thing to do is to cut down on spending, something that may be easier if you cohabit and can split the bills. Delaying the purchase of your first home can also help. Another great move is to make your money go farther by generating a return on your excess cash. Traditional savings accounts are often the first port of call and can enable you to start garnering some interest. A regular savings account may be ideal, as it will encourage you to put aside a monthly sum. A cash ISA may also be a good option as you can profit from tax-free returns. However, current savings rates aren’t exactly setting the world on fire, so you may want to turn to potentially more profitable – but riskier – investments. A stocks & shares ISA is one option. These ISAs have the potential of giving you decent returns, but there is always the risk that you could lose money, so you shouldn’t enter into them lightly. If you’re thinking of taking on the stock market, it’s always best to seek advice from an independent financial adviser. They can weigh up your risk appetite and recommend potential investments to you. Cutting down that £20,000 figure to one that's more manageable makes things better for everyone involved. Your biggest savings can be made on your guest list. Most wedding venues charge by the head, so inviting fewer people will save you money straight away. What’s more, your food costs will also go down. The best way to do this without hurting anyone's feelings is to rent a place with limited capacity so only a select number of guests can attend. Another trick is to have a closed bar so you don’t have to cover the cost of drinks. You may not realise it but getting married abroad can also save you a small fortune. This cuts down the guest list automatically and everybody understands why they can't attend. The wedding dress is another area where money can be saved. A designer outfit may be tempting, but if you are unlikely to wear it again, a more budget-friendly gown may be best. Finally, cut down the number of flowers, invitations and pictures you have, and save on music. Be creative in your plans and you may find that the savings soon start to stack up so that you can enjoy your big day without breaking the bank.